Bulk chemistry and mineralogy of the peculiar rock of Ricetto (Carseolani Mts., Central Apennines, Italy) was studied to resolve its controversial origin: igneous dyke or anthropic product. This hybrid rock consists of a colorless, felsic component made up of glass plus quartz, and a brown, femic component made up of fans and spherulites of diopside, calcic plagioclase, wollastonite, and melilite. Textural relationships indicate very rapid cooling and immiscibility phenomena. The bulk chemistry of the rock is the same as that of the surrounding siliciclastic sandstone. The 14C analysis of a coal fragment from bottom of the body yields the conventional age of 227(±50) years. The Ricetto occurrence is an example of pyrometamorphism of a siliceous limestone induced by a charcoal pit burning. The small size of the heat source at Ricetto caused an intense but short-lived melting of the country rock. Prograde metamorphism caused a temperature increase up to 1,000–1,100 °C when melilite crystallization conditions were reached at appreciable P(CO2) and high f(O2). Melting occurred in a close system represented by the simplified equation: 3Cal+16.5Qtz+Ms+Bt→Mel+Melt+2H2O+3CO2+0.5O2. Diopside+calcic plagioclase+wollastonite formed by melilite breakdown during rapid cooling, through the reaction: 6Mel+6Qtz+0.5O2→3Di+2An+7Wo. Liquid immiscibility caused the separation between the felsic melt component and the femic melilite-bearing component. Immiscibility was characterized by different fractionation of alumina and alkalies between these two phases. Differences in bulk, glass, and mineral chemistry between the Ricetto and other melilite-bearing pyrometamorphic rocks can be attributed mainly to different protoliths. D. Cosentino (Rome) challenged us to clarify the origin of the Ricetto body. M. Follieri (Rome) gave us encouragement and helpful suggestions. Revisions by A. Mottana (Rome) enabled us to improve both the contents and style of the manuscript. This paper also benefited by revisions and criticism of M. Raith (Bonn) and T. Kunzmann (Munich), which are gratefully acknowledged. G.M. Crisci (Cosenza) and C. Aurisicchio (Rome) provided the XRF and EMP analysis facilities, respectively. 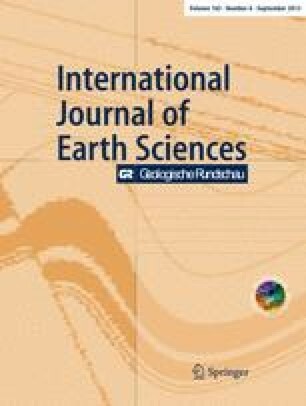 Assistance of U. Lanzafame (XRF), L. Martarelli (EMPA), P. Cipollari (SEM), and C. Romano (FTIR) is also acknowledged. Courtesy of R. Marcon (IGI) has been invaluable. During the final revision phase of this manuscript, one of the authors, Salvatore Improta, passed away unexpectedly. Still stunned, the other authors can only mourn for the loss of a such careful scientist and amiable person.